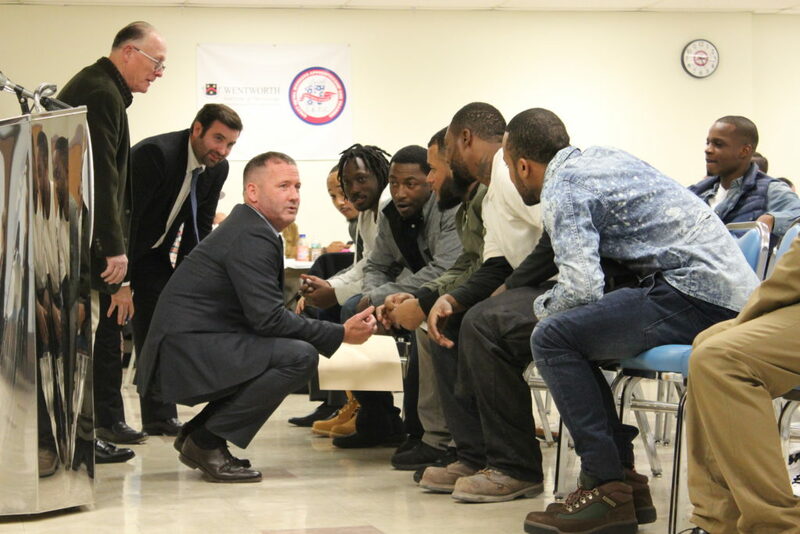 Dan Mulhern, director of the Mayor’s Office of Public Safety, surprises Operation Exit graduates with the news that New England Patriots CEO Robert Kraft will be joining in their celebration. Returning to civilian life after six years in the army, Edward Morgan, 27, found himself adrift in his native Dorchester. “I did random jobs. I was a driver, a chef. They didn’t last too long. I found myself getting in trouble and I couldn’t sustain those jobs,” he said. When he joined Operation Exit, a career preparation program for at-risk young people, Morgan couldn’t quite believe his luck: A three-week training in the building trades culminating in placement services for union apprenticeships starting at $19-24 per hour. It wasn’t until his class visited the unions – for carpenters, ironworkers, laborers, painters, and sheet metal workers – that he saw how his life was about to change.  That reality was celebrated yesterday evening at a dinner for the most recent class of Operation Exit, an initiative of Mayor Martin Walsh run by YOU Boston and the Mayor’s Office of Public Safety. The class – all young men of color with some history of court involvement – achieved a 100 percent graduation rate. Of the 19 graduates, 17 have been placed in union apprenticeships. That success was praised by Robert Kraft, CEO of the New England Patriots, who surprised the graduates by arriving at the Sheet Metal Workers Local Union #17 in Dorchester to speak at the celebration. Kraft, who funded this cycle of Operation Exit, highlighted that two-thirds of the graduates were parents. 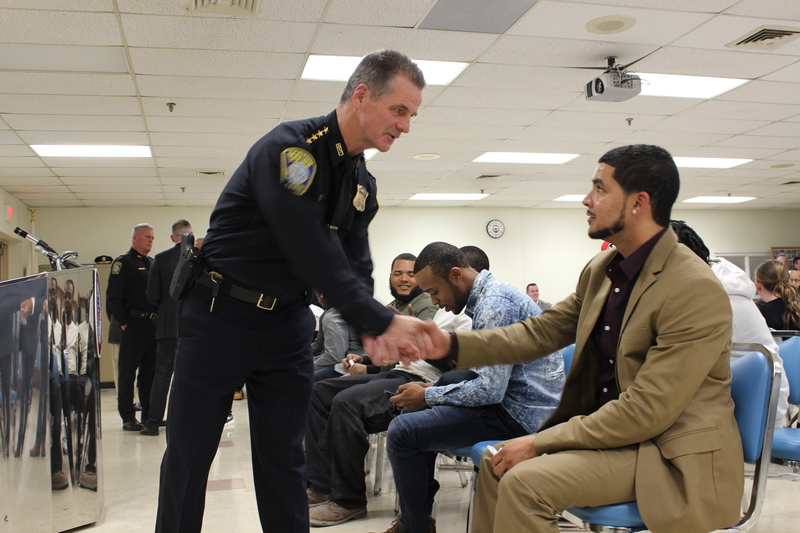 Boston Police Commissioner William Evans reminded the young men that they could also influence their communities. “I need you to help us. Help us on the street, help us with the kids out there,” Evans said. He spoke as someone who had benefited from life-changing help himself. Mayor Walsh, who established Operation Exit in 2014, shared his own history of second chances with the graduates. He said that at his rock-bottom in detox, he thought, “This is not what I envisioned for my life. This is not what I wanted to be.” After making changes, his life journey took him to a high-point many had thought impossible: the moment he was sworn in as mayor of Boston. That sudden rise is something Morgan experiences now in his own life working as a laborer on the construction of a Fenway high-rise. Read the press release to learn more about Operation Exit’s success.